Having you been trying to find a better job opportunity in the Tamil Nadu state for a long time? If this is true, TNPSC 1953 Assistant Vacancies 2017 are definitely for guys like you. In this easy-to-follow guide, we will walk you through the complete procedure – from downloading notification to submitting applications. The name of the post is Assistant (Group-II A Services). It is quite clear that Tamil Nadu Group 2A Services Jobs Notification 2017 has got everything you need to know to apply for the Assistant vacancy, but we want to put your attention towards the information given on this page too because we have arranged the information in an easy way. A written exam is scheduled to be conducted and candidates will be chosen for the post based on the marks obtained by them in the exam and following the rules and regulations. The postulants think that it would be easy to apply online because we have laid some steps in this concern that will be helpful. You will be meant to be a ‘Hard-Working’, otherwise, you see your efforts going to waste. If you are all set to become a participant of this TNPSC 1953 Assistant Group 2A Services Jobs, make sure you are even eligible for doing so. This can be made sure by viewing the ‘Eligibility Criteria’ as specified on the bottom side. Good News! 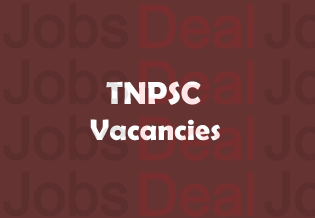 Notification for TNPSC 1953 Group 2A Vacancies is out now. What you have to do to apply online is firstly be aware of the ‘Requirements’ since they will tell you who is eligible to apply and who is not. If you are round worthy for the post, you will be given an opportunity to apply before the deadline. For the selection of suitable applicants, the Tamil Nadu PSC will conduct an exam which is called as ‘Combined Civil Services Exam’ for the year 2017. Now, those who have good knowledge of how this exam is conducted and which questions are likely to be asked in the exam paper are having more chances to be chosen for the job. But, as we said earlier, you should not miss out on TNPSC Group 2A Services Notification. The notification for Tamil Nadu 1953 Group 2A has been released now and you can download it directly visiting the official site. This will be available in PDF file for your convenience. Age Limit: First of all we want to tell you that this age limit is counted as on 1st July 2017. The minimum age requirement is 18 years, whereas the maximum age of the applicants can be 30 years. Educational Qualification: Taking the post that you apply for into consideration, the department requires different academic qualification So, taking a look at the Official Website/Notification will really be helpful. Application Fee: Make sure you submit the application fee before the closing date. The quicker you do this process and better it would be for you. Because at the last days, the server of the main website gets jammed and there is no option that people are left with them. Salary Package (Pay Scale): On your successful selection for the post, you will receive Rs.5200/- to Rs.20200/- + the Grade Pay of Rs.2800/- (PB1). Selection Process: There will be the conduct of Written Exam by the concerned department. You have to get all ‘Exam Pattern’ and ‘Syllabus’ details to be completely familiar with the study. First off, begin reaching the Official Website of the department which we have provided beneath. On the opening of the page, check out the ‘Latest Announcements’. Click on the link of TNPSC 1953 Assistant Gr. 2A Notification (PDF) and download it. Read it thoroughly and make sure you are eligible to apply. If yes, go on submitting the application from and get a printout of the same. If you have any question in mind regarding TNPSC 1953 Assistant Vacancies 2017, we welcome the users to share their thoughts via the comment. If you fee that this article is worth sharing, do not wait - do share it now with your friends to let them about this job opening too.